Treyarch and Activision's Call of Duty: Black Ops 4 started strong, despite being a strictly online multiplayer game. 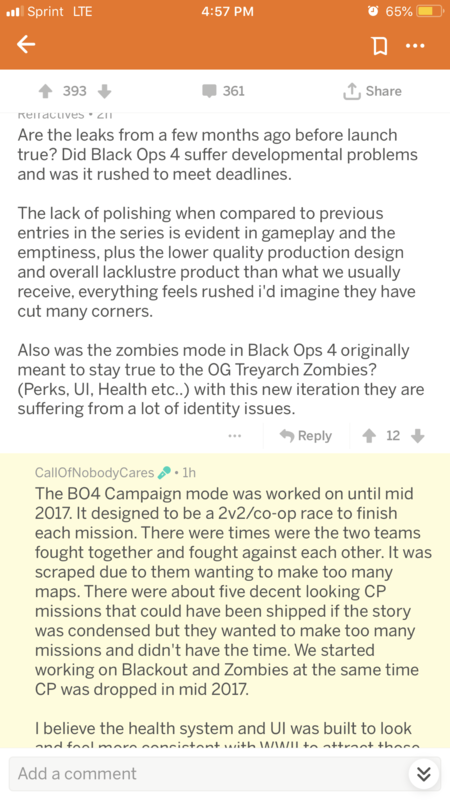 The game supposedly had a Campaign mode during 2017 but was scrapped at the same time Zombies and Blackout came in. While Call of Duty: Black Ops 4's original controversy was due to a lack of singleplayer, it now appears that the game used to have content similar to it. According to claims by a fired Treyarch QA employee, Call of Duty: Black Ops 4 featured something called Campaign mode during the game's development in 2017. Campaign mode was supposedly still multiplayer, as it would feature two teams of two in a co-op competition where both teams would be racing towards the end of a mission. Some situations would make the teams fight together, others would pit them against one another. Apparently, the mode was a bit too ambitious and dropped in the end. Campaign mode was allegedly scrapped mid-2017 when the QA team started testing Zombies and Blackout. According to the leaks, had the story been condensed, with fewer maps in mind, it could have made it to the full release. It remains uncertain how the battle royale bandwagon affected decision making or whether it's directly responsible for the Campaign mode's demise. 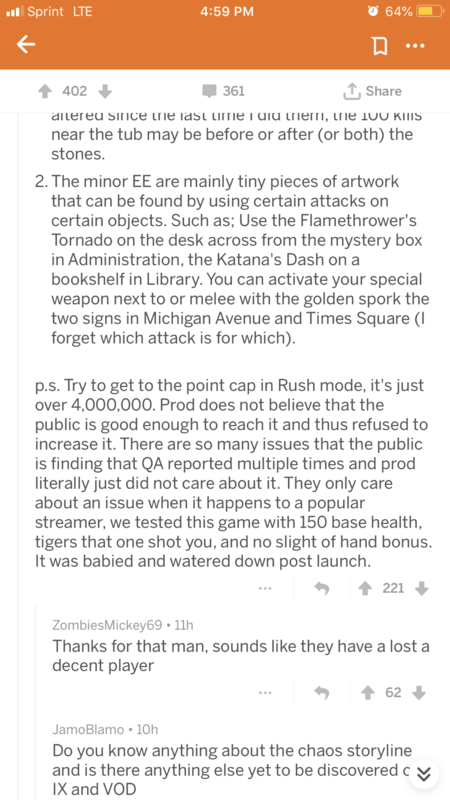 Another leak by the same employee suggests that the removal of Juggernog and Speed Cola was in part due to Treyarch wanting players to experiment with perks other than those that were must-have in previous titles, but also because they couldn't find a way to make Juggernog work with the newly introduced armour. The team supposedly just dropped the perks altogether and added more health to characters to compensate for Juggernog. 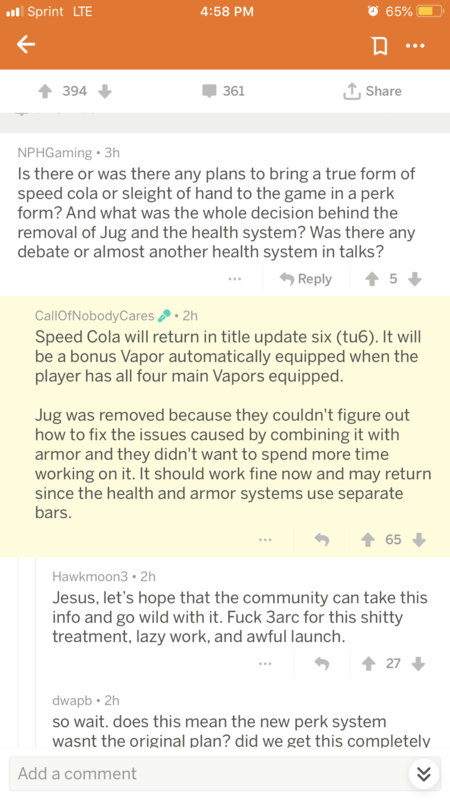 Issues regarding Speed Cola and Juggernog have been fixed since, and the leaker claims the former will return in title update six, in the form of Vapors, while Juggernog might return later, but it is not certain whether it will. Further claims by the leaker involve statements like QA reporting issues several times over, with the "prod", likely a producer or production team, ignoring them. Calls to action were purportedly swift only when issues would happen on streams or content creator videos. This is not the most disturbing of statements either, as the leaker asserted that there is a QA tester assigned to testing higher levels of zombies. 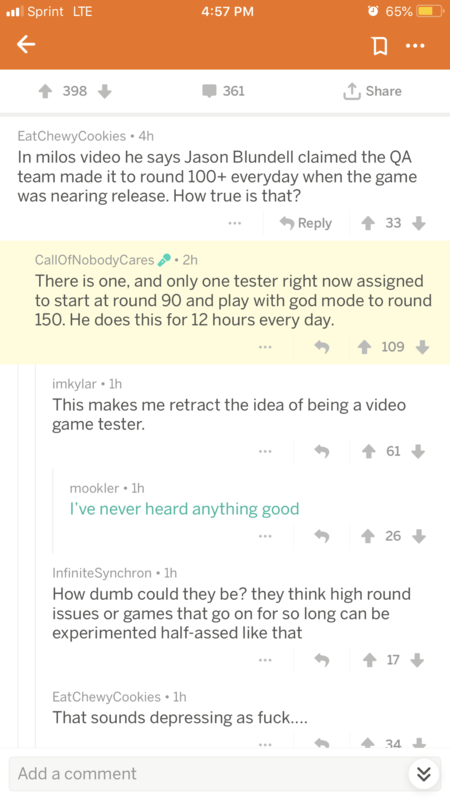 In the case of this tester, their workday allegedly consists of 12 hours of starting at round 90 and playing through to round 150 with god mode on. 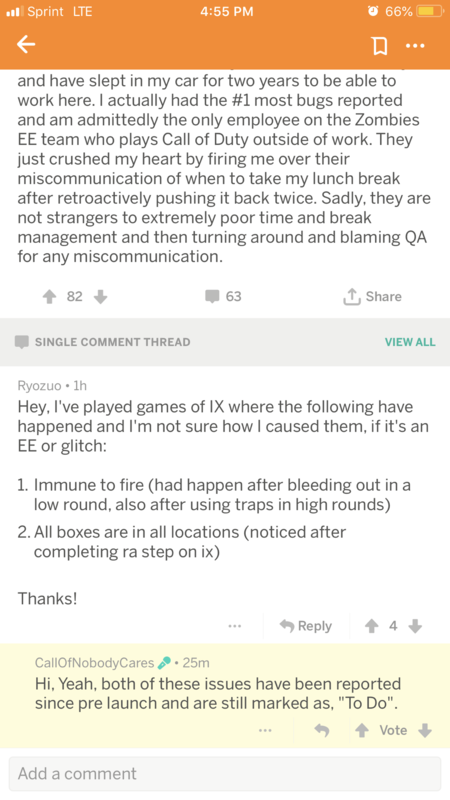 Now, anyone can just come to Reddit, claim they are a former Treyarch employee while spewing all kinds of nonsense, but this particular individual has revealed a ton of until-then-unknown easter eggs that turned out to be correct, hinting the rest of the statements could potentially contain truth. At the time of writing, there are claims of Activision and Treyarch pursuing legal action against their former employee, who apparently did this out of anger after being fired. The cause for the termination of contract was failure to communicate when the lunch break was, according to the leaker. You can see a collection of the easter eggs and future plans for Call of Duty: Black Ops 4 provided by the disgruntled former employee here, or visit this Imgur gallery to see the now deleted Reddit posts.